PHILADELPHIA – January 22, 2019 – On Martin Luther King Day, State Senator Art Haywood (D-Montgomery/Philadelphia) joined community sponsors POWER, the Unitarian Society of Germantown, Raise the Wage PA!, activists, and advocates for a Raise the Wage Rally. 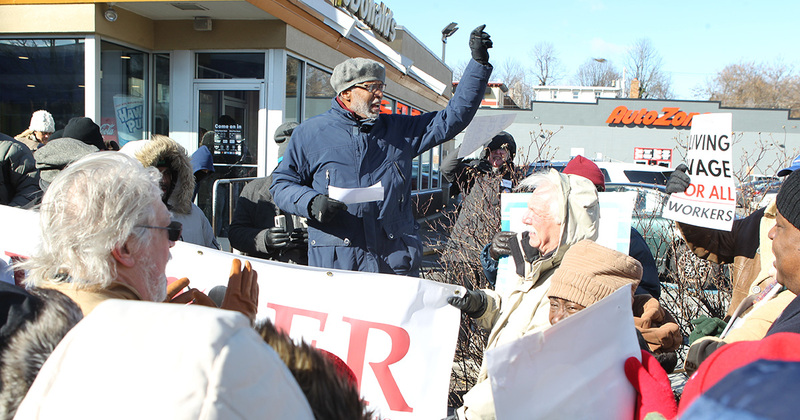 To commemorate Dr. Martin Luther King’s dedication to service and equal rights for workers, the rally was held outside of the McDonald’s on 29 E. Chelten Avenue. Speakers and advocates discussed the need for an increase in the minimum wage and how the current wage rate has negatively affected hardworking individuals in the Commonwealth.